This entry was posted in Fulbright News, Fulbright Programs on July 9, 2018 by Rach Gnihc. This entry was posted in Fulbright News, Fulbright Programs on July 7, 2018 by Rach Gnihc. Please proceed here for more details of the conference. This entry was posted in Uncategorized on March 10, 2018 by Rach Gnihc. “DIFFERENT skin tones, different heights, different races, but why are our hearts the same?” A plaintive soliloquy of a Malaysian student reverberates through the corridors of a school tucked away in rural Sabah. A thought as familiar as the lingering smell of chalk, rustle of uniforms and the thumps of heavy bags bursting to the seams with dog-eared books in schools scattered across the land where students grapple with lessons as with a shared identity of a blended, fluid nation of many races, creeds and religions. For every young American who has, under the auspices of the Fullbright Programme, served as English Teaching Assistants (ETAs) in Malaysian public secondary schools, the vibrant tapestry of the quintessential Malaysian life from selamat datang (welcome) to selamat tinggal (goodbye) during their 10-month sojourn has invariably left them with indelible memories and lessons learnt. “The true surprise is that we’re all much more alike than we’re different,” writes Jamie A. Thomas, an ETA who taught in Dungun, Terengganu back in 2007. Her experience, along with the experiences of 22 other ETAs, have been compiled into a compendium of stories, poems, visuals and narrative shorts aptly titled Balik Kampung, a Malay colloquial loosely translated as “Returning Home” — a nostalgic phrase that denotes a sense of familial belonging. “That’s my kampung!” declares 27-year-old James Millock with a grin, referring to Pasir Gudang, an industrial town located in Johor. He served as an ETA from 2013 to 2014 in Sekolah Menengah Kebangsaan (SMK) Masai 2. Every year, Fullbright scholars look forward to whatever experience lies ahead of them and according to the experiences of past scholars like Millock, there’s an awful lot to experience and embrace personally and professionally. “It’s changed my life,” he says, half-wistfully. The curious beginnings of the Fullbright Global Cultural Programme in the wake of World War II saw Senator J. William Fullbright lobbying to dispose military surplus material in exchange for a global cultural programme designed to, in his words, “…bring a little more knowledge, a little more reason and a little more compassion into world affairs and thereby increase the chance that nations will learn at last to live in peace and friendship”. From war junk to educational exchange, the Fullbright Programme has since successfully fostered bilateral relationships in which citizens and governments of other countries work with the United States (US) in setting and shaping joint priorities and programmes to meet their mutual needs. The Fullbright US Student Programme is the largest exchange programme funded by the US State Department, offering opportunities for students and young professionals to undertake international study, advanced research, university teaching, primary and secondary school teaching worldwide. Bespectacled and soft-spoken, the shyly professorial MACEE programme manager reveals he was part of the editorial team who curated the Balik Kampung anthology. “The idea of documenting the experiences of the ETAs was first pitched in 2014 by Dr. James Coffman, our executive director and we immediately began to reach out to former ETAs for contributions.Unfortunately, it hit a bureaucratic gridlock and got stalled indefinitely until I picked it up again in 2016,” recalls Chew. The 30-year-old goes on to explain that the initial purpose of publishing this anthology was to celebrate the diverse experiences the American teaching assistants garnered and to showcase the profound connections forged between the ETAs and Malaysians who embraced and allowed them to experience vignettes of life as it’s practised here with all its humour, poignancy and utterly human complexities. “There are so many things that I miss about my experience in Malaysia. Most of all, I miss the people,” writes Kendall Hack, an ETA who taught in Terengganu back in 2013. Travelling halfway across the globe to assimilate themselves with a culture that’s relatively little known to most Americans can be daunting. With the climate, food and conditions of life in Malaysia being a far cry from what these foreign-born ETAs were used to back home, the motley group of Americans soon discovered that while they were on a mission to teach, they ended up, more often than not, being the ones who were taught new life lessons. ETAs learn more than just coping with the erratic Malaysian weather that shifts from searing heat to heavy torrential downpours in just a matter of moments, observes Hack. They work through language barriers, understand Malaysia’s fascinating politics, and engage with students and other people who wouldn’t otherwise be in contact with a Mat Salleh under normal circumstances. “I’ve learnt how I want to treat people in all contexts,” writes Hack relating that in a small fishing town called Cukai, ‘rush hour’ constitutes getting stuck behind a man pulling a cart of coconuts. Friendships forged in this multicultural land are not easily forgotten. Waving his phone at me, Millock tells me gleefully that he’s still in contact with some of his students from his ETA experience three years ago. He’s back in Malaysia again to reconnect with friends, one of whom is Nur Amelina Mohamad, his fellow teacher from SKM Kota Masai 2. She’s long since moved on from Pasir Gudang, but her friendship with Millock has withstood the test of time and kilometres. Their affectionate camaraderie is apparent, with banter alternating between them interspersed with laughter and joint recollections of a time long past comprising classes, students and extra-curricular activities. “They threw a Halloween-themed farewell party for me, much to the consternation of some locals,” Millock tells me while Amelina laughs, her eyes dancing with mischief. “We really learnt to appreciate the ETAs doing things that we can’t do, given our backgrounds and heavy workloads. We felt that having an ETA was such a blessing for the children. Of course, being an orang putih (white man) helped, because John managed to go against the grain and get things done for the children. Some teachers might’ve been wary because John looks, speaks and acts differently. But in the end, it worked to his advantage because he got away with a lot of things!” recalls Amelina, chuckling. From rambutan picking, observing Ramadan, trying out new cuisines to going on a hunting and fishing trip with the Temiar tribe, an indigenous people-group living in the remote forested landscape outside Gerik, Perak, the ETAs have willingly sampled an enriching slice of Malaysian culture and lifestyle described in Balik Kampung. The affable former ETA is currently attached to the International Medical Corp, a global humanitarian non-profit organisation. As most ETAs have pointed out in their observations during their stay here, although multiracialism is usually thought to usher in colour-blindness, equality and harmony, Malaysia is still on a journey in trying to find that perfect balance while managing perceptions, fears and racial complexities. It’s hoped that books like these will spark conversations and debates which will push us towards a greater understanding of the vibrant, multiracial, multi-ethnic, multicultural society that Malaysia is lauded globally for. “Sir, when you leave for America, never forget us,” a student pleaded to James Greisler on his last day in school. How could he? As with all other ETAs who traversed thousands of kilometres to this diverse nation of contraries, he’s come away with new lessons and perspectives that will transform his life forever. Terima kasih, Malaysia. Thanks for the memories. This entry was posted in Fulbright News on May 25, 2017 by Rach Gnihc. This entry was posted in Fulbright Programs on July 11, 2016 by Rach Gnihc. This entry was posted in Fulbright Programs on June 29, 2016 by Rach Gnihc. 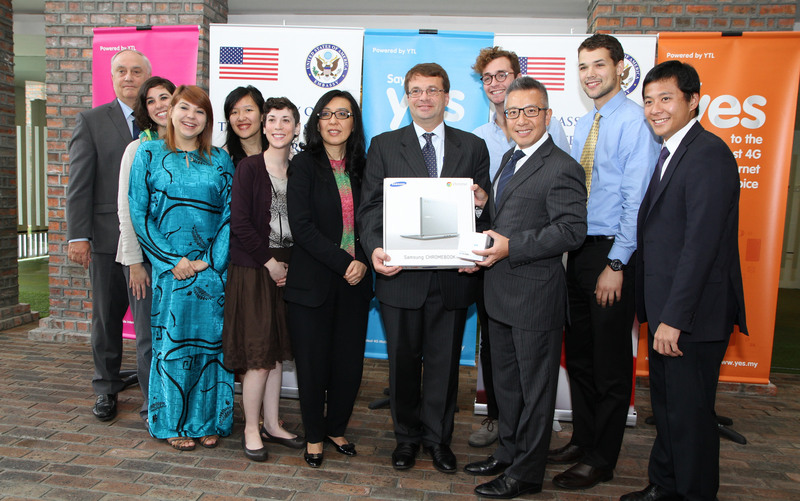 Malaysians Receive Fulbright Grants to the US! “Kuala Lumpur: The Malaysian-American Commission on Educational Exchange (MACEE) presented grants to 17 Malaysians for the prestigious Fulbright program and other United States (US) government-funded grants for 2016-2017, Tuesday. 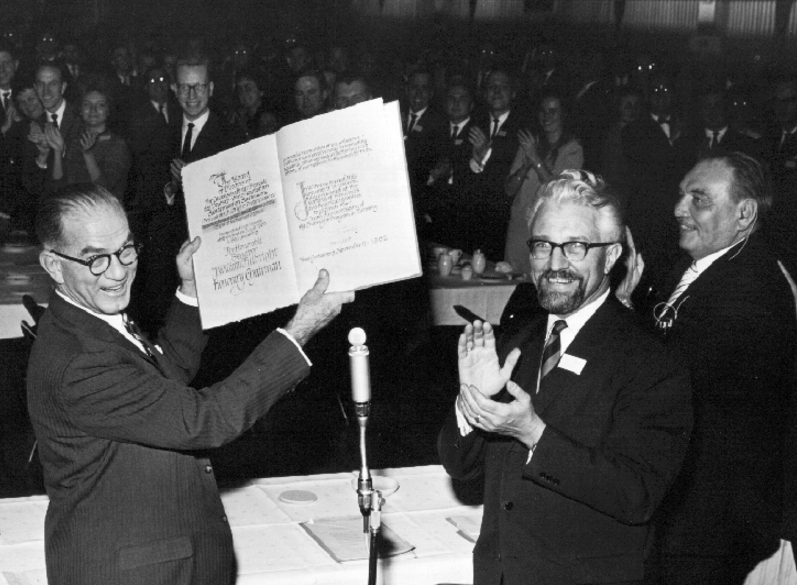 The Fulbright program, the flagship international educational exchange programme funded by the United States government and designed to increase mutual understanding between the people of the United States and the people of other countries, was offered by MACEE since its inception in 1963 to promote international goodwill through the exchange of students and scholars in areas of education, culture, and science. An award winner, Tan Win Son received a Fulbright grant to the Arizona State University and will be leaving in August to study Big Data Science-Analytics. This entry was posted in Fulbright News on June 24, 2016 by Rach Gnihc. This entry was posted in Uncategorized on March 21, 2016 by Rach Gnihc. This entry was posted in Uncategorized on February 13, 2016 by Rach Gnihc. 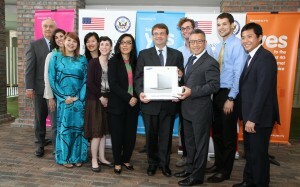 The US Embassy in Kuala Lumpur and Bangkok recently funded a Fulbright ETA English camp in Chiang Mai. This is the first ever international collaboration between Fulbright English Teaching Assistants (ETA) in Malaysia and Thailand – International English Camp in Chiang Mai, Thailand on 24-26 July, 2015. This entry was posted in Fulbright News on August 4, 2015 by Rach Gnihc. Chairman and Senior Partner of Zaid Ibrahim & Co. 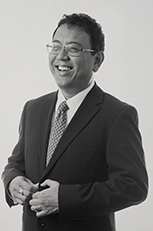 I am the Chairman and Senior Partner of Zaid Ibrahim & Co. (a member of ZICOlaw) with offices in Singapore, Bangkok, Ho Chi Minh City, Melbourne and Sydney as well as associate offices in Jakarta, Yangon, Phnom Penh, Laos and Vientiane. I also serve as chairman and director of several public listed and government linked companies. This entry was posted in Fulbright News on June 9, 2015 by Rach Gnihc. “STUDENTS from 19 secondary schools had a rocking time with Guns ‘N’ Roses lead guitarist Ron “Bumblefoot” Thal during a meet-and-greet session at the state Education Department’s auditorium here. Signature double-necked guitar in hand, the multi-talented singer and instrumentalist jammed on stage with several young musicians from the audience, including nine-year-old drummer Dallian James from SK St Michael in Samarahan. He also joined the SMK Kota Samarahan band called 11th Division in performing a couple of local songs before finishing the impromptu jam session with the Guns ‘N’ Roses hit “Sweet Child O’ Mine”. This entry was posted in Fulbright News on May 6, 2015 by Rach Gnihc. Malaysian documentary producer Indrani Kopal has hit big time, with her first production selected for the Cannes Film Festival. Her documentary, “The Game Changer”, will be shown at The American Pavilion Emerging Filmmaker Showcase and the Cannes Short Film Corner. “The Game Changer” tells the story of Susan Slotnick, who uses dance as a form for rehabilitation for inmates at the Woodbourne Correctional Facility in New York, United States. This entry was posted in Fulbright News on April 7, 2015 by Rach Gnihc. KUALA LUMPUR: Ten American youths have returned to teach English in rural Malaysian schools for a second year after an enriching experience last year under the Fulbright English Teaching Assistants (ETA) programme. This entry was posted in Fulbright News on January 21, 2015 by Rach Gnihc. 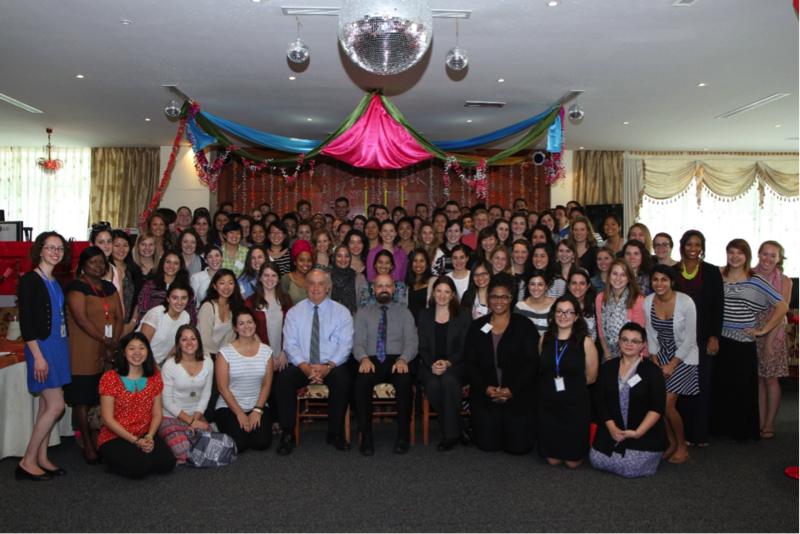 MACEE welcomes the 100 Americans from 35 states and the District of Columbia who arrived in Malaysia to serve as Fulbright English Teaching Assistants in national secondary schools for the 2015 school year. They will be posted to mostly rural and remote towns in Kelantan, Kedah, Pahang, Perak, Perlis, Terengganu, Sabah, and Sarawak. This will be the fourth Fulbright ETA cohort welcomed by Malaysia since the inception of the nation-wide Fulbright ETA program in 2012. Due to the success of the first three-year phase, the Fulbright ETA program has been renewed for a further three years and has expanded its reach to Kelantan, Kedah, and Perlis. Jointly managed by MACEE and the Ministry of Education, the Fulbright ETA program aims to increase students’ interest and ability in English language through classroom lessons, co-curricular activities, and special projects undertaken with the native English speakers from the United States. Furthermore, the program will foster cultural exchange through the direct people to people interactions of the participants over the course of ten months. This entry was posted in Fulbright News on January 9, 2015 by Rach Gnihc. “All men are brothers.” The sentence came back to me here in the middle of a dinner hosted by the Malaysian-American Commission on Educational Exchange for about 100 Fulbright U.S. English Teaching Assistants soon heading home. The words are from a novel published in China in 1589, Tale of the Water Margin, about what one learns through struggles in a world almost constantly at war. The sentence was later used by Gandhi as part of the title for his book of autobiographical reflections on how many people with many differences could live together if they thought about the aspirations that bound them together. This entry was posted in Fulbright News on November 7, 2014 by Rach Gnihc.